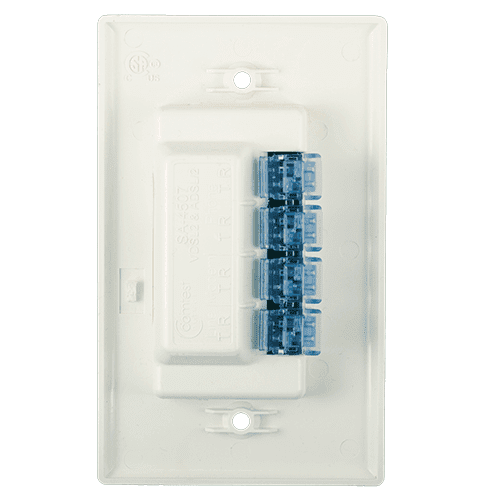 The Comtest Flush Mount Splitter is a low-pass filter designed to enable POTS service to coexist with ADSL2+ and VDSL2 data signals up to 30MHz. 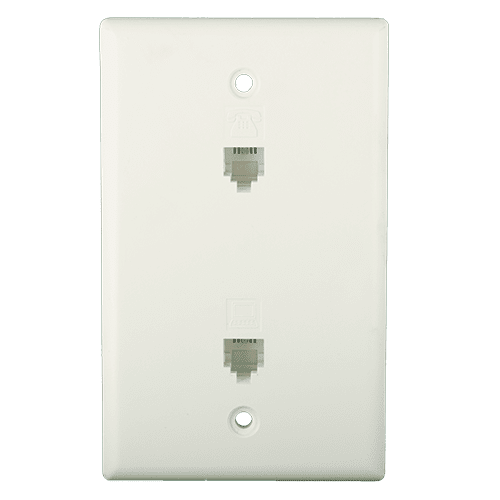 The Flush Mount Splitter mounts conveniently in industry standard electrical boxes, resulting in a compact and clean installation ideal for use in apartments, condos, or homes where there is no NID or space for a standard splitter. As networks speed up, microfilters typically used for xDSL connectivity hit their limitations. 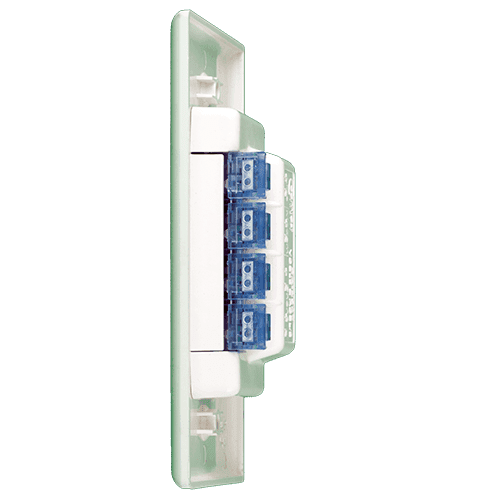 The Flush Mount VDSL2 Splitter provides a solution by offering a high-bandwidth splitter that take microfilters to their preferred demarcation point, delivering remarkable sound quality and advanced data service. Communications Interface RJ-11 connectors for customer facing Modem and Phone connections. Gel-filled Insulation Displacement Connectors (22AWG, 24AWG or 26AWG solid conductor type) for POTS and Local Loop connections in electrical box.